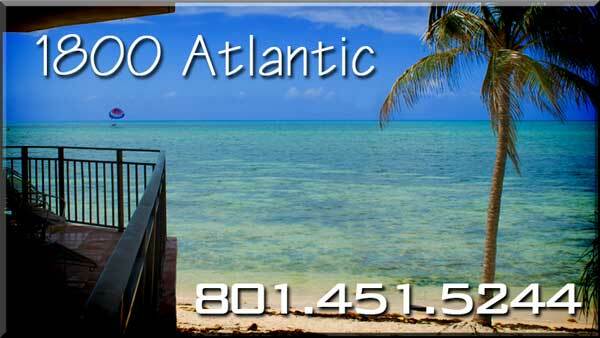 Located on the interior of 1800 Atlantic, you are beachfront and oceanfront, away from the busy street. This stunning 3 bedroom condo, with luxury furnishings, has a view of the ocean from every room. Amenities include an Olympic size swimming pool, hot tub, tennis courts, handball courts, security, local phone and wireless internet. Improve your vacation over hotels and resorts with a 3 bedroom condo that has a full kitchen and 3 baths. Enjoy your breakfast over looking the beach and ocean while watching parasailing. After take a walk to the public beach, Smathers Beach is right next to 1800 Atlantic or you are 2 minutes down the road to Higgs Beach and Rest Beach. Charter a deep sea fishing trip or a glass bottom boat. Swim with the dolphins or visit the aquarium. Visit the butterfly museum, search for gold with Mel Fisher, or climb the light house. Eat some of the wonderful food: Conch Fritters, Mahi Mahi, Key West Jumbo Pink Shrimp. Dine at the best restaurants: The Conch Republic and Blue Heaven.